At RAPIFE our objective is to design garments that are not only are pleasant to use, but ensure your health and that of your loved ones. Proposals capable to react to parameters such as body temperature or sunlight, fabrics that pamper and take care of your skin. Technology that gives you piece of mind. Premium collection made from organic cotton threads cultivated without pesticides or chemical fertilizers that damage the farmland and the workers. They are 100% natural and respect your baby´s skin. Thermochromic one-piece with long sleeve pinned collar. Baby/boy Thermochromic long sleeve one-piece with pinned collarThis garment can be worn all year long.Rapife 100% made in Spain. Newborn organic cotton romper for newborn. Baby´s one-piece in organic cotton. Long sleeve one piece completely open in front.Suggested for newborns.Available in white for 1 to 36 months. Clearance sale, only while supplies last.Rapife 100% made in Spain. Newborn pajamas in organic cotton. Newborn´s organic cotton pajama.Rapife 100% made in Spain. Newborn´s crossed one-piece in organic cotton. Newborn´s organic cotton crossed one-piece.100% made in Spain. Composition: 100% Organic cotton. Newborn´s one-piece with pinned collar in organic cotton. Newborn´s organic cotton one-piece with pinned collar. Rapife 100% made in Spain. Newborn´s one-piece in organic cotton. Newborn´s organic cotton one-piece with openings at the shoulder.Available from 1 to 36 months.Clearance sale, while supplies last.Rapife 100% made in Spain. Pack nacimiento de algodón orgánico en tonos naturales.Rapife 100% made in Spain. Newborn´s t-shirt and overalls ensemble in organic cotton. Newborn´s ensemble of t-shirt and overalls in organic cotton.Available from 1 to 36 months.Clearance sale, only while supplies last.Rapife 100% made in Spain. 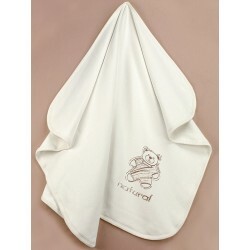 Newborn´s baby blanket in organic cotton and natural colors.Rapife 100% made in Spain. Newborn´s one-piece and maternity nightgown pack in organic cotton and natural colors.Rapife 100% made in Spain. Long sleeve thermochromic long sleeve one piece with pinned collar. Baby boy´s long sleeve thermochromic t-shirt with pinned collar.Suitable for all year.Rapife 100% made in Spain.